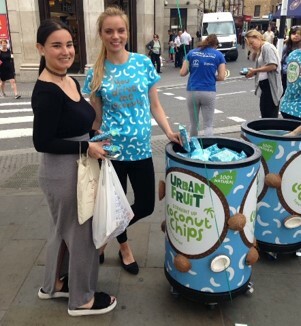 Urban Fruit commissioned Highjam to deliver a mass sampling activity for their Coconut Chips product. 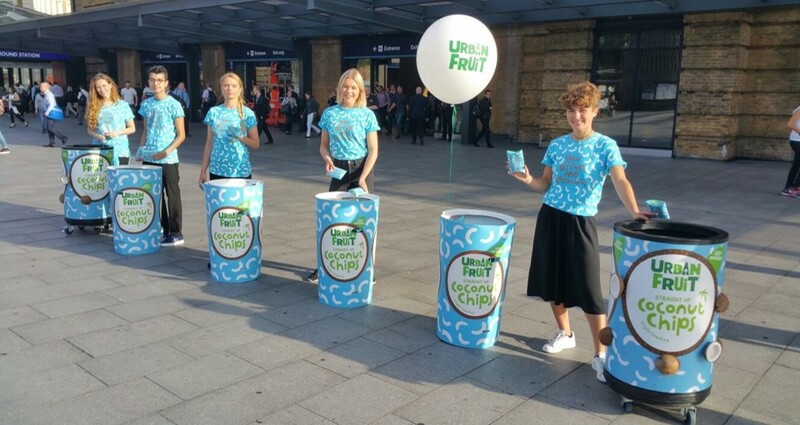 Teams of brand ambassadors hit the streets to deliver samples of the product to hungry Londoners at commuter hotspots, lunchtime hangouts, parks, offices and foodie markets. All routes and locations were planned to drive consumers to key retailers. A mobile kit was designed and used to ensure we could reach as many consumers as possible. All consumers received their sample alongside verbal product messages delivered with boundless energy!